If you send samples to multiple labs, you might get similar nutrient concentration values, but the interpretations can vary based on who ran the samples. One of the best things to do is find an alternative source of information to compare interpretations of results. Interpretations for micronutrients are especially troublesome. 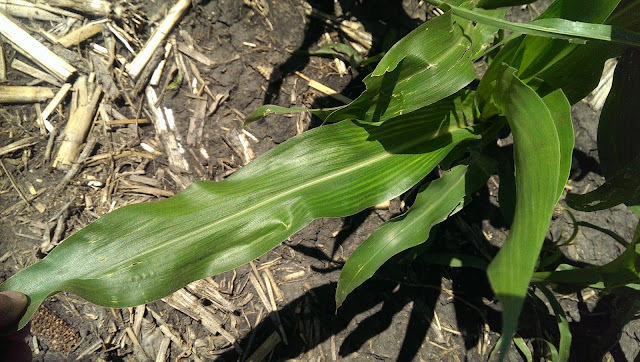 There is likely little to no local data linking micronutrients concentration to yield response, unless a crop is highly sensitive to a deficiency of a specific micronutrient. Research on optimal plant tissue nutrient concentrations has been conducted for well over fifty years. That research has helped to establish optimal concentration levels, but it’s not always clear on a report where that information came from. Ideally, you want data from yield response trials. In reality, though, if a crop is not responsive to a micronutrient, it’s nearly impossible to find local response trial data. Average nutrient concentration values are commonly used in lieu of response data. Therefore, you won’t likely be able to make decisions with yield in mind, so take care when interpreting data for minor elements.